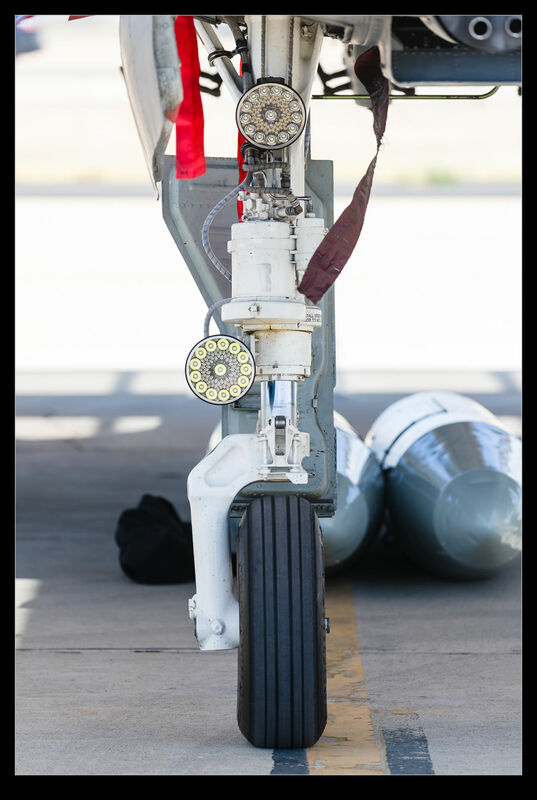 While walking along the ramp at Davis Monthan I was looking for different shots of the A-10s that were arriving for Hawgsmoke. 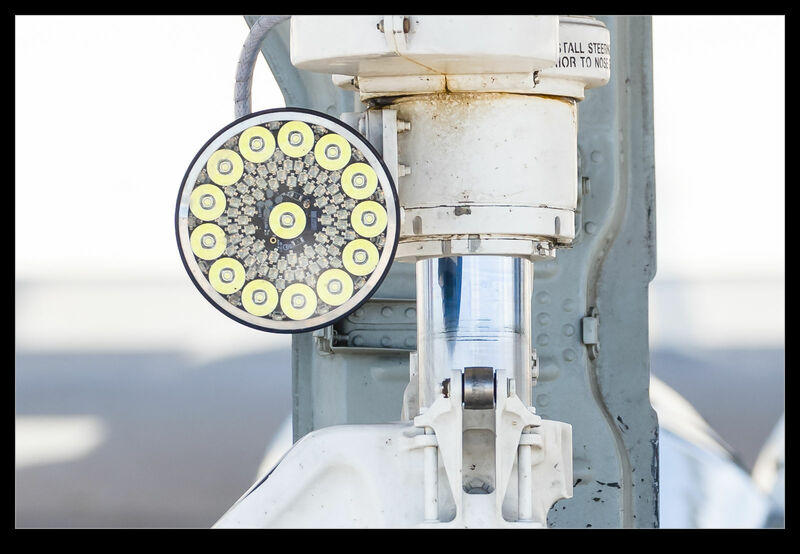 The lights on the nosewheel of the A-10s have been replaced with an LED based solution. This is clearly not the original light. It actually looked to me like it was a circuit board rather than a cluster of LEDs. I didn’t see it lit up but I don’t doubt that it’s bright. I just think it looks rather cool. This entry was posted in aircraft, military, photo and tagged a-10, aircraft, airplane, davis monthan afb, fairchild, fighter, hawgsmoke, jet, landing, led, light, military, photo, thunderbolt II, USAF, warthog. Bookmark the permalink.